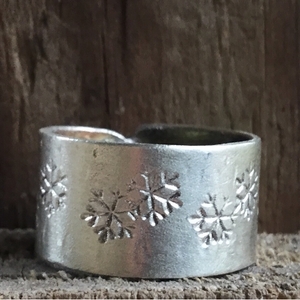 Home > Sterling Silver Snowflake Band Ring. Silver Band Ring. One of a Kind. 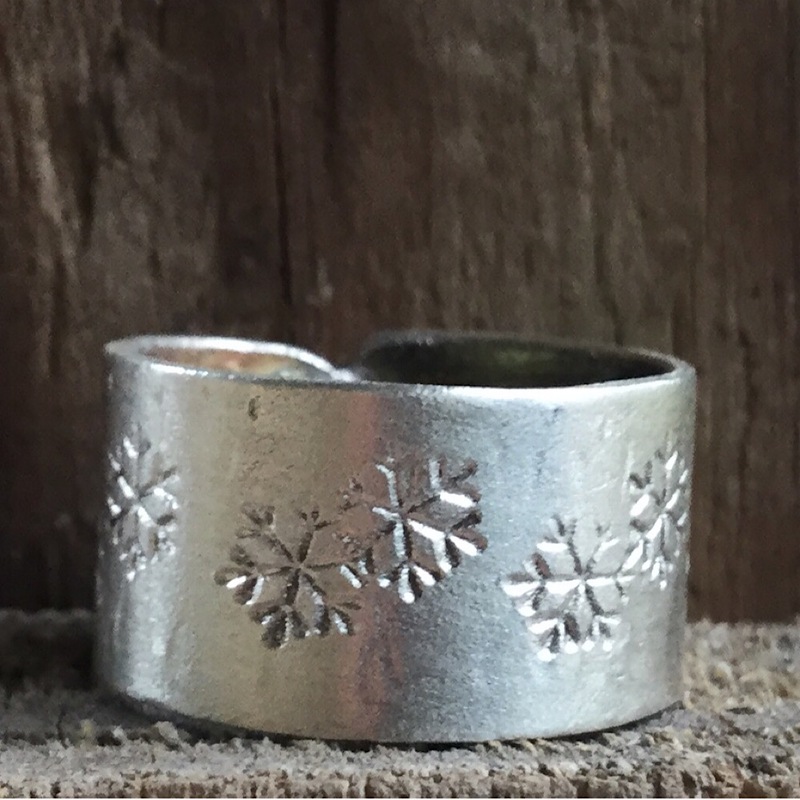 Sterling Silver Band Ring with hand etched snowflakes. This ring can be ordered in any size and is handmade in the USA by The Fun Company Jewelry.